Mobile ad hoc network (MANET) is vulnerable to security attacks because of the shared radio medium and lack of centralized coordination. Since most multi-hop routing protocols implicitly assume cooperative routing and are not originally designed for security attacks, MANET has been challenged by diverse denial-of-service attacks that often interfere with the protocol and interrupt on-going communication. In this paper, we propose an explore-based active detection scheme, called EBAD, to efficiently mitigate the routing misbehaviors in MANETs running with dynamic source routing. The basic idea is that a source node broadcasts a route request packet with a fictitious destination node to lure potential malicious nodes to reply a fake route reply packet. If the source node receives the fake route reply packet or an intermediate node cannot decrypt the received route reply packet, the routing misbehavior can be detected. We also propose a route expiry timer based approach to reduce the effect of route cache pollution because of the fake route reply. We present a simple analytical model of the EBAD and its numerical result in terms of detection rate. We also conduct extensive simulation experiments using the OMNeT++ for performance evaluation and comparison with the existing schemes, CBDS and 2ACK. 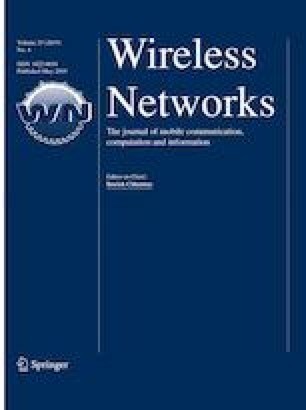 The simulation results show that the proposed countermeasure can not only improve the detection rate and packet delivery ratio but also can reduce the energy consumption and detection latency. This research was supported in part by Startup grant in Division of Computer Science at Marshall University. A. Varga. (2014). OMNeT++. http://www.omnetpp.org/.